India should work closely with BIMSTEC, a seven-nation grouping, to conclude trade negotiations and attempt early operationalising of the Bay of Bengal free trade agreement (FTA) to give a big push to trade in the region, industry body Assocham said today. 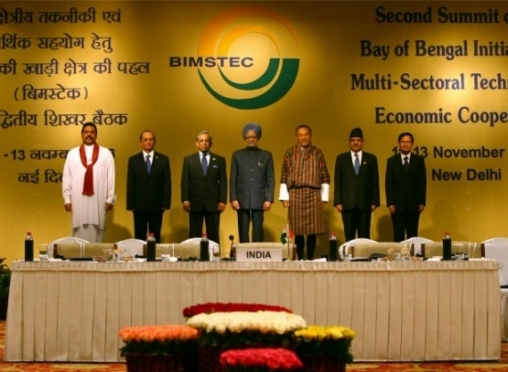 BIMSTEC (Bay of Bengal Initiative for Multi-Sectoral Technical and Economic Cooperation) grouping comprises countries such as Bangladesh, India, Myanmar, Sri Lanka, Thailand, Bhutan and Nepal. “BIMSTEC FTA may help activate production links among member countries and help in rationalising various non-tariff measures (NTMs) which would give big push to regional trade and generate regional value chains,” the Assocham study titled ‘BIMSTEC Economic Integration: Opportunities and Challenges’ said. The study was jointly released by Secretary (East) in External Affairs Ministry Preeti Saran, and Bangladesh State Minister for Foreign Affairs Shahriar Alam at the 7th Assocham-BIMSTEC Business Forum. The FTA, which has been under negotiations since the inception of BIMSTEC, needs to be accomplished and all other areas of cooperation will follow once the member countries are connected and trade and commerce flourishes, the study noted. It further said that there is a need to liberalise trade and investment measures in services considering the lack of adequate physical infrastructure in the region, more so as services exports are performing well compared to manufactured exports that are more dependent on infrastructure. “Members of BIMSTEC have been struggling to negotiate a successful free trade agreement which has over the years been overtaken by other instruments which has been somehow disincentive for a greater push on this FTA,” the Assocham said quoting Saran. “I think the potential for the future lies in investments in the services sector,” she added. Highlighting that the Bay of Bengal is home to over 30 per cent of world’s fishermen, Saran said that sustainable development and modernisation of fishing industry in the region can contribute substantially in improving standards of living of people. “I would urge to look at potential of development of marine resources in agriculture, particularly in the fisheries sector,” she said. The Bay of Bengal Initiative for Multi-Sectoral Technical and Economic Cooperation (BIMSTEC) is an international organisation involving a group of countries in South Asia ( Bangladesh, India, Sri Lanka, Bhutan) and South East Asia ( Myanmar, Thailand).